NEW YORK, NY – Secretary of the Interior Ken Salazar today announced the U.S. Fish and Wildlife Service will propose to list the Burmese python and eight other large constrictor snakes that threaten the Everglades and other sensitive ecosystems as “injurious wildlife” under the Lacey Act. In total, wildlife inspectors stationed at ports across the nation processed more than 169,700 shipments of wildlife and wildlife products last year with an estimated value of $2.7 billion. “Our wildlife inspectors are the front line of defense for the nation, combating illegal wildlife trafficking and preventing the importation of countless species of illegal injurious wildlife. This proposal will give them an additional tool to restrict imports that are causing significant ecological and economic damage, while giving our law enforcement agents the ability to restrict the spread of these species within our borders,” said U.S. Fish and Wildlife Service Director Sam Hamilton. The nine species proposed for listing are: the Burmese python, northern African python, southern African python, reticulated python, green anaconda, yellow anaconda, Beni or Bolivian anaconda, DeSchauensee’s anaconda, and boa constrictor. Many of these large snakes are popular as pets, and are associated with a large domestic and international trade. Over the past 30 years, about a million individuals of these nine species have been imported into the United States, and current domestic production of some species likely exceeds import levels. Under the Lacey Act, the Secretary of the Interior is authorized to regulate the importation and interstate transport of species determined to be injurious to humans, the interests of agriculture, horticulture or forestry, and the welfare and survival of wildlife resources of the United States. Sen. Bill Nelson, D-FL and Rep. Kendrick Meek, D-FL, have introduced legislation in Congress, supported by Secretary Salazar and the Obama Administration, which would also restrict importation and interstate sale and transportation of the nine species of constrictor snakes. Today’s proposal ensures that the injurious proposal will be considered through all available legislative and administrative avenues. The U.S. Fish and Wildlife Service will publish the proposed rule in the Federal Register in early February. At that time, the Service will also make a draft economic analysis and draft environmental analysis available to the public. The public will then have 60 days to comment on the proposal. The Burmese python is currently distributed across many thousands of square miles in south Florida and a population of boa constrictors is established south of Miami. In addition, recent evidence strongly suggests a reproducing population of northern African pythons on the western boundaries of Miami. The U.S. Geological Survey issued a risk assessment last October that highlighted the threat. Of the nine large constrictors assessed, five were shown to pose a high risk to the health of the ecosystem, including the Burmese python, northern African python, southern African python, yellow anaconda, and boa constrictor. The remaining four large constrictors—the reticulated python, green anaconda, Beni or Bolivian anaconda, and DeSchauensee’s anaconda—were shown to pose a medium risk. And are opportunistic in expanding their geographic range. More than 1,200 of the snakes have been removed from Everglades National Park since 2000, with others having been removed from the Florida Keys, along Florida’s west coast, and farther north along the Florida peninsula. Burmese pythons threaten many imperiled species and other wildlife. Two Burmese pythons were found near Crocodile Lake National Wildlife Refuge, and the remains of three endangered Key Largo wood rats were found in their stomachs. 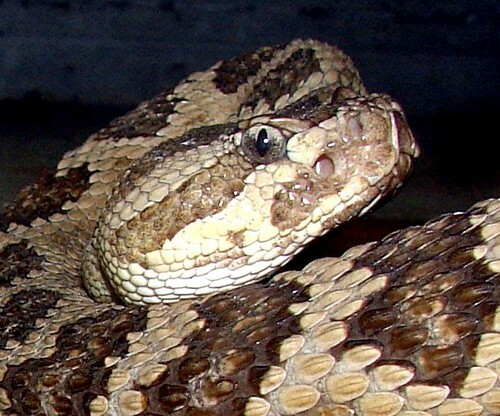 Salazar strongly encouraged pet owners not to release snakes or any other pets into the wild. 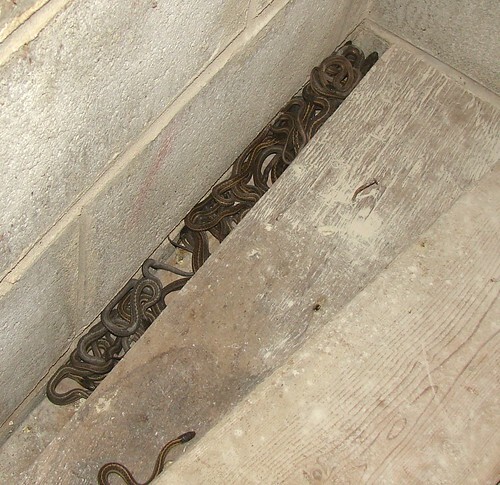 “People may think that this is a convenient and humane way to be rid of unwanted animals, but as in the case of pythons and other constrictors, it can lead to devastating consequences for local wildlife populations and the ecosystems they depend on,” Salazar said. Salazar said he has directed the Fish and Wildlife Service to conduct a comprehensive review of existing legal and regulatory authorities to address the invasive species issue on a broader scale. “I’ve asked the U.S. Fish and Wildlife Service to make recommendations regarding the potential tools we need to address the invasive species challenge – both to combat existing invasive species problems and act more effectively to prevent the introduction of new invasive threats into our country,” said Salazar.